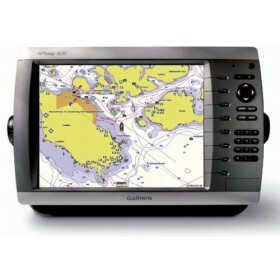 The power of networking meets the brilliance of great design in this large-screen chartplotter, which serves as your all-in-one "nerve centre" for the Garmin Marine Network. The GPSMAP 4012 has crisp, video-quality resolution on a large 12" (30.7 cm) XGA display as well as a worldwide, satellite-enhanced basemap. By connecting to the Garmin Marine Network, you can add sonar and radar. For even more enhanced features, you can add the optional BlueChart® g2 Vision® card (sold separately).